Clone. (L. sulphureum x L. henryi). Bred by T. Berry, early 1930's. True color is described as "Orange buff". This slide, dated 1932 was on glass and was well faded over the years. 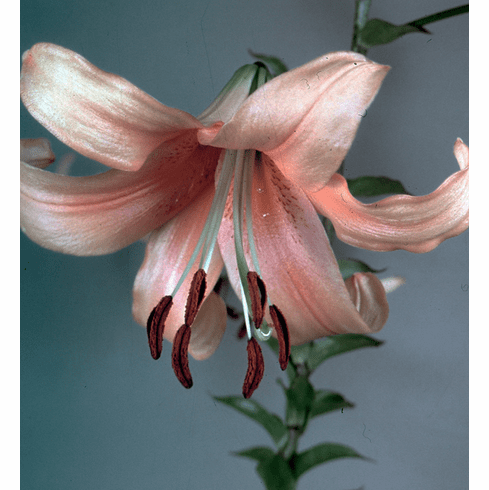 The true color is similar to the 1935 Kline seedling selection from T. A. Havemeyer breeding. Photo courtesy of the Bill & Mary Hoffman Collection.